The multi-sensory aspects of Barton reading and spelling instruction are truly what sets it apart from typical language arts instruction that my students receive at school. The maracas are a fun, tactile way to reinforce what the Watch-Out vowels are when they are first taught in Level 3. Even my most low-key students become animated when using them. 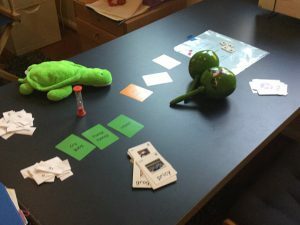 All of my students enjoy the various card games that I incorporate into their sessions. There is no busy work in Barton; everything has a purpose and everything matters. To borrow the motto from my three children’s former preschool (Sleepy Hollow Co-op), we “learn through play,” whenever possible. In a one-on-one environment, I have the ability to tailor my tutoring sessions as much as needed. Although homeschooling was never in my plan, when I confronted the reality of how my son’s public school was failing its dyslexic students, I was clear that was going to be the best choice. It’s important to keep in mind that if your child attends a Fairfax County Public School, the Development Reading Assessment (DRA) is used to measure reading progress. A child may be “reading” at grade level and still show many of these warning signs (read more about my son’s example). 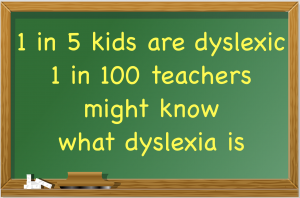 Many teachers are not familiar with dyslexia and have not received training in identifying students with this different brain wiring. Does your child have 3 or more of the following warning signs? (Updated June 13, 2018) – Almost half of my tutoring clients make use of a hybrid tutoring approach: both in-person and remote tutoring in order to allow for more sessions while avoiding the pain of rush hour traffic. Does Handwriting Instruction Still Matter? One of the key attributes of the Barton Reading & Spelling System, and any reputable Orton-Gillingham program for dyslexia remediation, is that it simultaneously engages several of the five senses. Handwriting Without Tears uses a similar approach, for print and cursive instruction. Since many dyslexic students have poor handwriting and find writing by hand to be tedious, some parents may wonder, why bother with it at all? Testimony to FCPS Advisory Committee for Students with Disabilities, given Wednesday May 13, 2015 at 7:30pm. My name is Kimberly Downey and my narrative describes why I decided to remove my dyslexic son from the FCPS system at the end of 2nd grade and homeschool him. 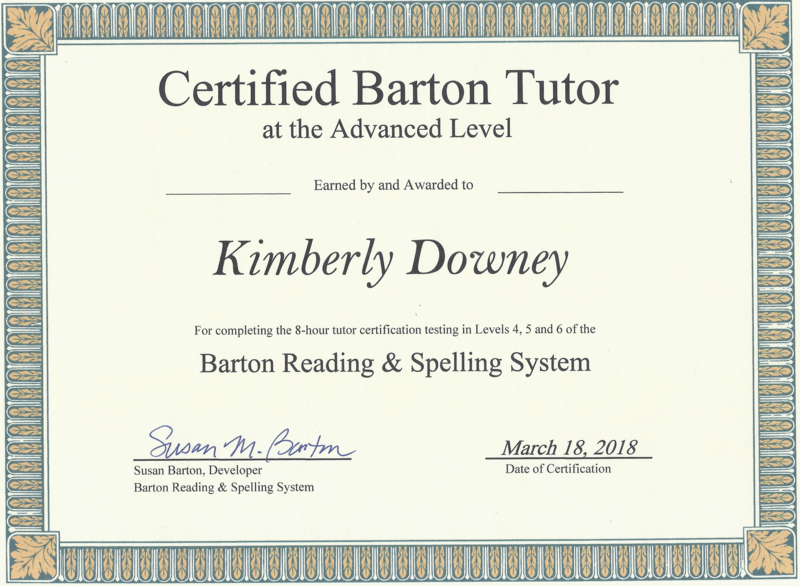 Kimberly is certified at the Advanced Level. Schedule an initial phone consultation to discuss your student's situation.